House Speaker Nancy Pelosi and Homeland Security Secretary Kirstjen Nielsen clashed during a border-security meeting. The clash between the top House Democrat and a key member of President Trump&apos;s Cabinet occurred during a Wednesday meeting in the White House amid the impasse over the government shutdown, with Trump standing firm and demanding $5 billion for the border wall. "These aren’t my facts … These are the facts." 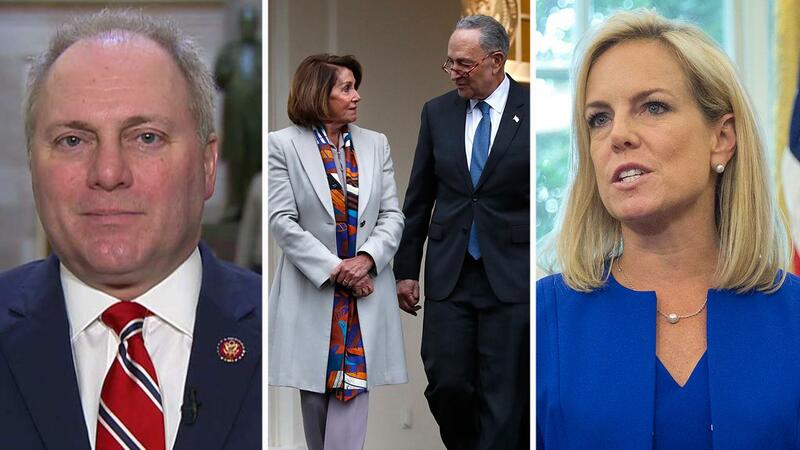 Nielsen reportedly told the Democrats at the meeting that border officials along the U.S.-Mexico border had apprehended about 3,000 people with terrorist ties and 17,000 criminals last year. Pelosi also asked the DHS head whether she was counting anyone crossing the border illegally as having a criminal record, with the administration denying that’s how the figure was devised. Wednesday’s meeting didn’t resolve the government shutdown as both sides continue to stick to their principles and refuse to concede. 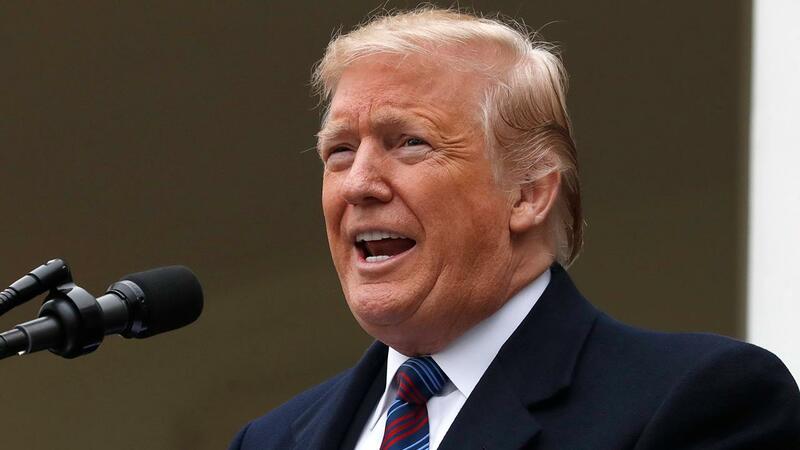 On Friday, following another contentious meeting in the White House with congressional leaders, Trump warned that the partial government shutdown could last “years” and saying he could even declare a “national emergency” to bypass Congress if necessary to build the wall. “We can call a national emergency [to build a border wall] because of the security of our country,” Trump told reporters in the Rose Garden, during a lengthy and impromptu press conference on Friday.